Occasionally, we see a manufactured object that is truly amazing. 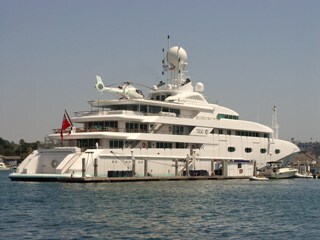 Last week, at Marina del Rey in Los Angeles we saw the motor yacht Princess Mariana. 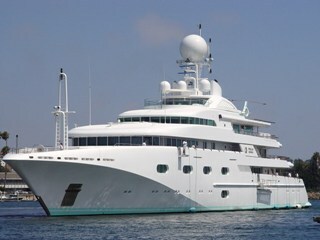 With an overall length of 252 feet she is arguably the largest private yacht ever to visit Marina Del Rey. Although some might see her as the ultimate in conspicuous consumption, her lines and form are so pleasing to the eye that one cannot help but be impressed when she is in view. With a top speed of eighteen knots, she is not a fast yacht, but even at dockside, she appears to be moving forward. If you Google the name “Princes Mariana”, you will find many websites with detailed information about "The Princess", so I will not provide that information here. 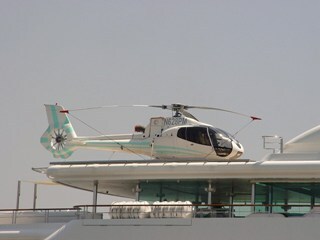 However, according to Power & Motoryacht, she is in the forty-second largest private yacht in the world. Last Sunday, we happened to be near her mooring at the Marina del Rey gas dock when she executed a turning maneuver. Although it took quite a while to cast off her many dock lines, the 180° turn took only a few minutes. From our vantage point, we were able to view her from every angle. Although most of us will not experience the pleasure of having twenty- six crew members servicing only twelve guests, watching from afar was pleasure enough for us. After we had our fill, we returned to our own personal yacht, WindSong. With an overall length of 35 feet, WindSong is seven feet shorter than Princess Mariana’s beam. However, WindSong carries no loan or mortgage.